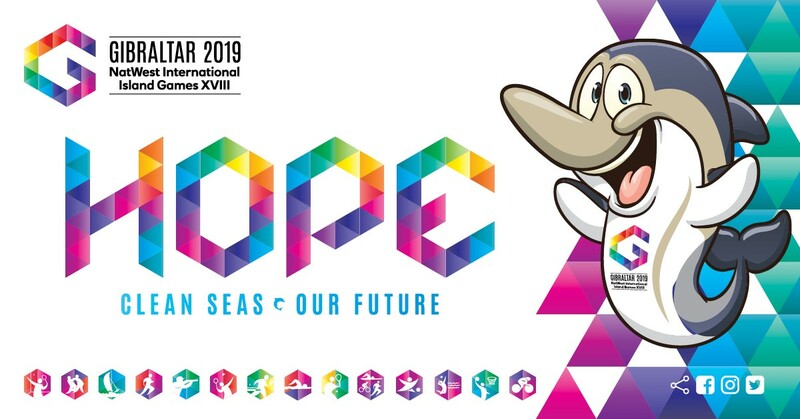 We would proudly like to announce the name of the NatWest International Island Games Gibraltar mascot as Hope! The name was chosen by a GBC radio listener Katie Rose Martinez. Linda Alvarez, Chair of the Organising Committee stated that the name was quite appropriate as it ties in with our slogan “Clean seas, our future”. It is no coincidence that if you look up the definition of Hope in a thesaurus, you will find synonyms such as Confidence, Courage, Aspiration, etc.. All these qualities will be abundantly present in the many athletes that converge on Gibraltar to compete in the Games. These qualities have also been at the forefront of the Organising Committees planning and actions to deliver a sustainable games that will play its part in enabling a better future for us all. Our future. From the inception, the committee has sought to integrate sustainability into the games through strategic planning and ensuring it is a key factor in all logistical and financial decision making. The aim of the committee is to deliver a games that includes and benefits the whole community, educates and inspires our younger generation, whilst also reducing its environmental impact. An obvious and clear step to play our part in facilitating cleaner seas, is our commitment to eradicate single use plastic from the games. Through collaborative work with our delivery partners, we have identified numerous opportunities to remove or substitute plastic with a more sustainable material. We have approached all major parties in the games delivery and asked that they commit to deliver activities and services in line with our Sustainability Pledge. Through collaboratively delivering on our pledge, is it hoped that we can deliver a sustainable games leading to clean seas and a better future – our future. • Source products and services from local suppliers, where appropriate and possible. • Liaise with the government and other stakeholders to develop and implement sustainable practices. • Involve the local community to promote, maintain and enhance our local environment where possible. • Encourage and support means of sustainable transport including walking paths, bicycle routes and bus services. • Remove single use plastics from all activities and promote and encourage the use of recycled products and materials. • Adopt and apply the waste hierarchy in the delivery of all services and activities to promote resource efficiency. • Empower staff and competitors to act sustainably by providing relevant information and training. • Commit to reducing energy consumption in the delivery of all services and activities by implementing appropriate technology and best practice.